Fourteen years ago, Elaine Howard stumbled into a rock shop and bought a fateful souvenir- a little dinosaur tooth- that would change her life forever. Elaine’s interest in that fossil not only awakened her passion for paleontology but transformed her life from one of negativity and hopelessness to one of excitement and adventure. On the surface, it appeared dinosaurs brought Elaine back to life. In reality, it was her change in mental focus that radically transformed her life for the better. Don’t wait to find your life-changing passion by chance. You have the power to take control and initiate your own positive transformation. 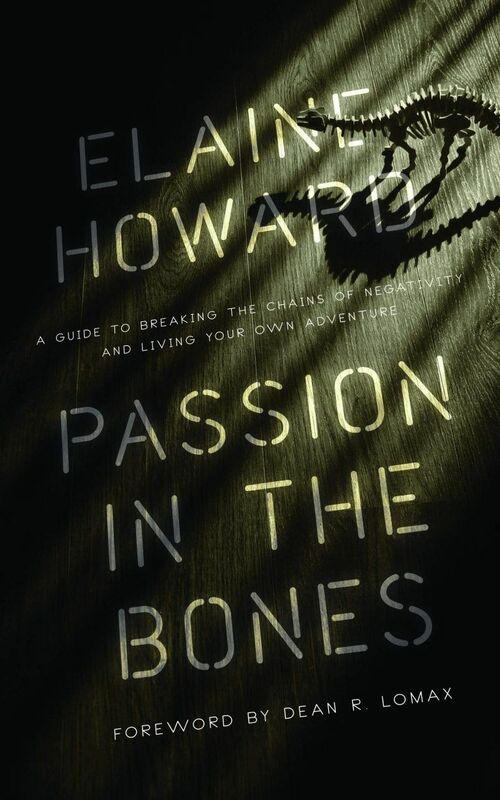 In Passion in the Bones, Elaine provides a step-by-step guide to finding and sustaining a passion that will get the positives flowing—and keep them flowing—in your life. If you find yourself focused on negative circumstances, this book will remind you that YOU have the power to enjoy life and make the most of it...Elaine’s story shows just how your life can be changed if you’re willing to follow your passion.